Current and former IRS officials are asking not to publicly testify about the agency's alleged bias against Tea Party and other conservative organizations, claiming they are in danger if they do so. 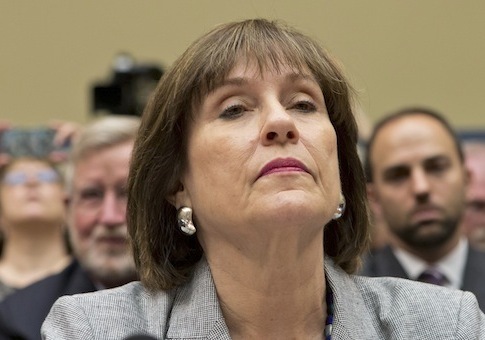 Former official Lois Lerner and Holly Paz both argued in recent filings under seal in the U.S. District Court in Cincinnati that the death threats and other harassment they have faced take precedence over the public's right to hear their testimony on the case of IRS bias against conservative groups, USA Today reported. The officials during the Obama administration were accused of singling out Tea Party and other conservative groups for extra scrutiny while reviewing their applications for tax-exempt status. The lawsuit in Cincinnati is one of several such cases against IRS officials accused of holding anti-conservative biases during the Obama era. Lerner resigned over the case after she refused to testify before a congressional hearing. Paz, who had worked under Lerner, was reassigned. Both were involved in the processing of applications for tax-exempt status. Their attorneys argued in a recent court brief that their clients' lives would be in "serious jeopardy" if they testified in public. "This documentation, as the court will see, makes very personal references and contains graphic, profane, and disturbing language that would lead to unnecessary intrusion and embarrassment if made public," their attorneys said. "Public dissemination of their deposition testimony would put their lives in serious jeopardy." A hearing on Friday that is closed to the public will address this issue. This entry was posted in Issues and tagged IRS, Lois Lerner, Tea Party. Bookmark the permalink.